If your #1 sales question is how to increase your order values, then Boost Sales and Personalized Recommendation apps are the perfect duo for you. The great news is these two apps are the most effective revenue-making apps of Beeketing. By understanding how they work best together, you can achieve another level of boosting your sales. In this article, we’ll help you with the setup to make them well-complementary to each other. Let us quickly give you an overview: Boost Sales app helps you increase the average order value by up-selling and cross-selling, while Personalized Recommendation suggests the right products to the right customers thanks to its advanced machine learning. 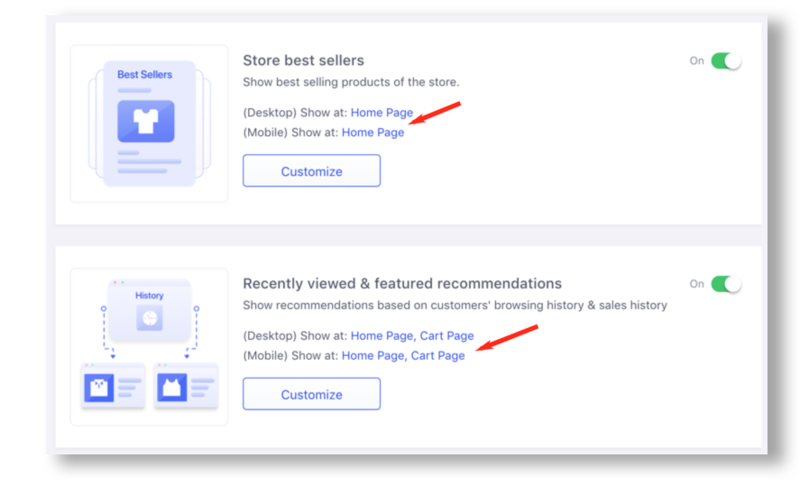 You can show customers a quick tour of what are the most special products in your store by setting it up with “Store best sellers” and “Recently view & featured recommendations” widgets. 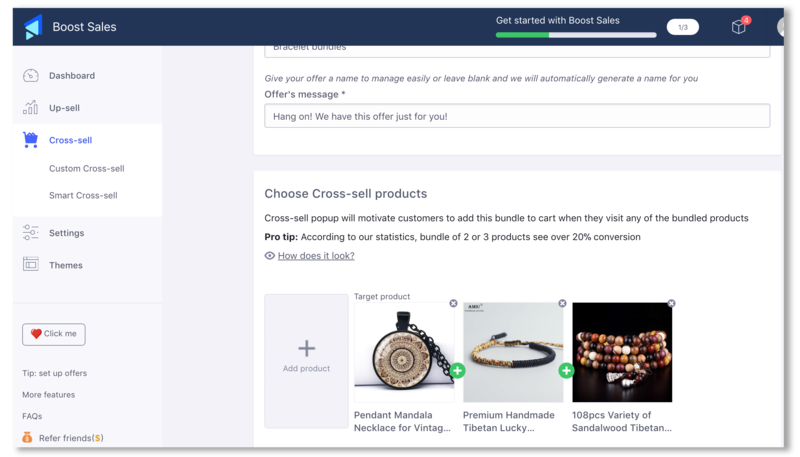 On the Product page, showing cross-sell and up-sell product bundles to encourage your visitors to buy more with Boost Sales app is the most profitable practice. 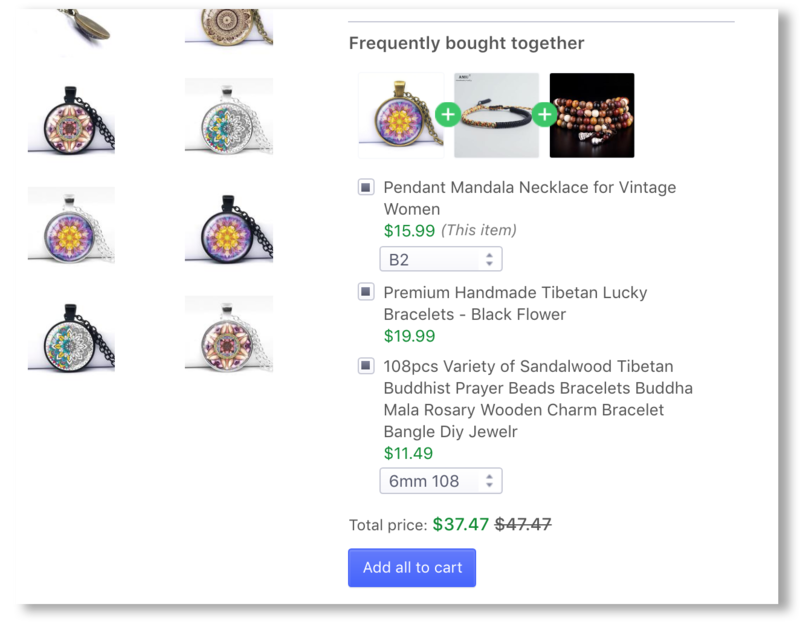 In addition, on the Product page, you can indirectly sell to customers using this tip: place some recommendation of the products they may also like, which are created thanks to historical data of similar cart other customers have added to, with “Who bought this also bought” widget of Personalized Recommendation. First, leave customers some room so that they can pick up more items which are selectively based on their shopping cart. Personalized Recommendation‘s Cart recommendation serves this purpose well. How about a last-step up-sell offer at the cart page to trigger shoppers to buy even just one more product? This trick has been proven to work well to our customers, you might want to try it out for your store. Boost Sales and Personalized Recommendation both serve the goal of encouraging your visitors to buy more every time they visit your store. Leveraging their strengths and putting the right function at the right place tremendously increases your order value and definitely helps you get more sales. Feel free to drop us an email at hi@beeketing.com if you need any help setting it up, our experts are always there to help you out.